India is the largest country in Southern Asia. It stretches from the great Himalayan mountains—the highest in the world—to tropical plateaus and on to the Indian Ocean. India’s history goes back 5,000 years. Its most famous landmark is the Taj Mahal. India has a population of about 1.3 billion people. About 1.6 million, or one person out of every 870 people in India, is a Seventh-day Adventist Christian. Since Adventists first started working in India more than 100 years ago, they have founded many schools. Adventist schools are located in every major population area, as well as a number of rural areas. They draw children from all kinds of homes to study to receive the best possible education. Every year, Adventist schools baptize hundreds of students who will become the leaders of tomorrow. Shanker was a troublemaker, even when he was little. Even he admits that he was out of control. He quarreled with anyone who opposed him and often got into scuffles even as a young boy. Then his parents caught him trying to smoke a cigarette when he was about 6 years old. They realized that Shanker was heading for disaster and they needed to do something without delay. Shanker grew up in the city of Mumbai, the largest city in India. There were lots of gangs and troublemakers around, and Shanker seemed determined to get into his share of trouble. His parents felt they had no other option but to send their son away from the city. They talked to Shanker’s uncle, who suggested they send him to a school that had dormitories for children his age. Shanker’s parents learned about James Memorial Higher Secondary School, a boarding school that teaches children from kindergarten through high school. But it was far from his home. Shanker’s journey to the new school took two days by train. Shanker was alone and a little scared. He wondered how he would survive in this new school. Everything was new to Shanker. His teachers were kind to him, and his classmates didn’t try to fight back when he argued with them. He was surprised when his dormitory monitor told him that he would be attending worship every day. A kindhearted teacher helped him with his math—a particularly difficult class for him—and encouraged him to take time to read his Bible every day before he began studying. 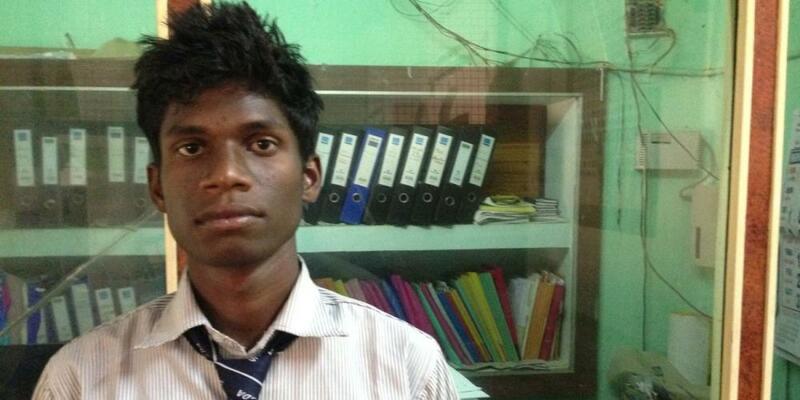 Now Shanker loves reading the Bible and praying, something he learned while at school. He still tries to influence people, but not through force or through insults as he once did. Now he tries to influence them through kind words and a good example. He takes part in worship services and is a leader in his favorite sport. As team captain, he gathers his teammates together before a game with another school so they can pray that God will protect them from harm and help them be good examples to the other team. Sometimes members of the opposing team try to rile Shanker’s team up with insults, but they ignore the words and choose to follow God’s example of leading with kindness. If they lose, they are good sports, and if they win, they praise God. Shanker’s parents are not Christians. They don’t oppose his decision to become a Christian, but they are not interested in his faith. Shanker admits that he does try to influence his parents to not worship their gods, but he no longer argues with them. He hopes that his good example and lots of prayer will convince his parents that Jesus is the answer to all their needs and that one day they will give their lives to God, just as he has. Boys and girls, we can make Jesus our top priority too, just as Shanker has. We do this by giving our heart to Jesus and asking Him to live in us.